Asphalt roofing is one of the most popular roofing materials for homeowners. And while there are many alternatives, it’s still the choice of many homeowners due to its affordability and respectable durability. At Tedrick’s Roofing, we answer your frequently asked questions about asphalt roofing. Q: How Does Asphalt Fare Against Premium Roofing Materials? 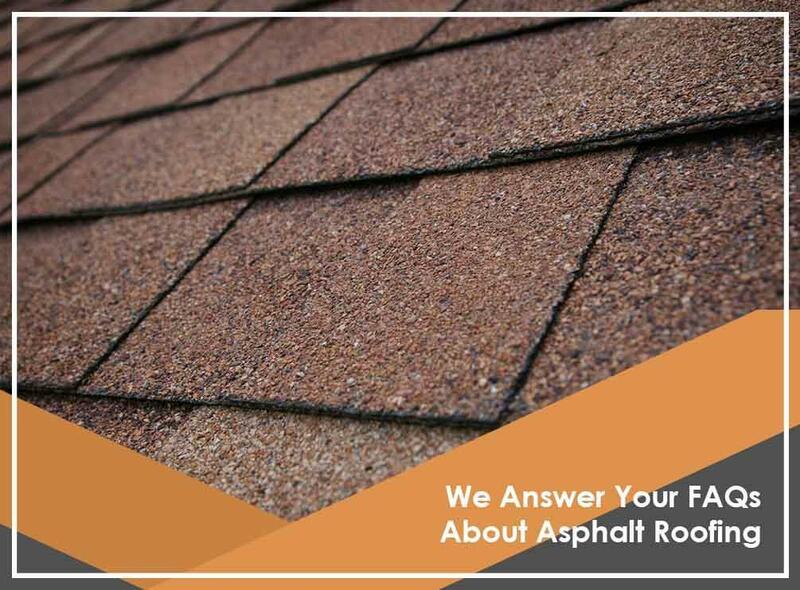 A: People believe that asphalt is the “weakest” roofing material. While it’s true that it doesn’t reach the same level of durability as metal and tile, it’s far from the weakest. Asphalt has respectable physical strength and elemental resilience, and it can even resist winds up to 110 mph. With proper care and maintenance, it can last a really long time. It’s not uncommon to find an asphalt roof over 30 years old! Q: How Affordable Are Asphalt Shingles? A: Three-Tab Shingles, which are the basic and least expensive asphalt shingle system, will roughly cost you around $25 to $30 a bundle to cover a hundred square feet of roof. Architectural style asphalt shingles cost more at around $75 to $100 for the same area. While it’s pricier, it doesn’t reach the same level of price as metal or slate. As your trusted local roofer, we recommend asphalt shingles if you want the best value for your money. Q: How Often Does My Asphalt Roofing Need Maintenance? A: As a general rule, you’ll want to make sure your roof gets some much-needed cleaning and maintenance once a month, especially when you’ve recently experienced inclement weather. The only time you should break this rule is if you experience a storm, in which case you’ll want to have a professional look at your roof as soon as the weather settles down. Tedrick’s Roofing offers professional roof repair services. Give us a call at (877) 212-9355 for more information on our services. We’re your trusted local roofer serving homeowners throughout Federal Way, WA.